It's always good to have extra batteries around. While rechargeable AA batteries end up cheaper over the long haul, sometimes you just need the old-fashioned disposable kind on hand. 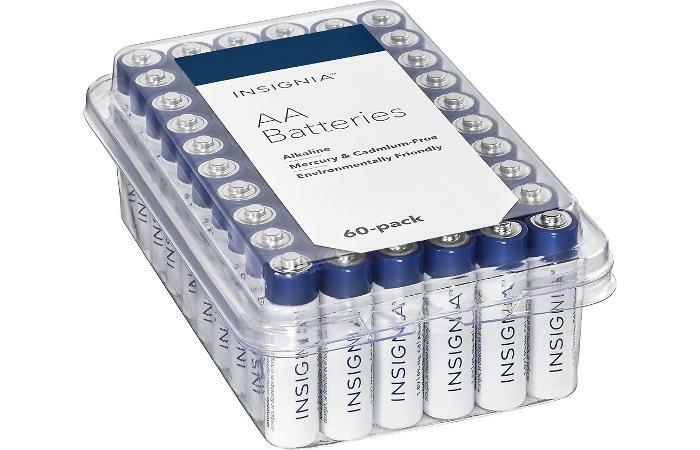 Best Buy is making that more cost effective right now by offering 60 Insignia AA batteries for $6.74—or about eleven cents per battery. 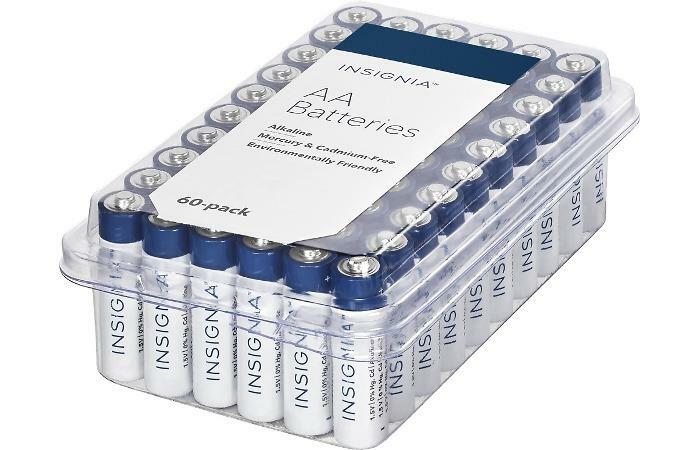 These are general purpose non-rechargeable alkaline batteries. There’s no claim on how long these batteries will last, but they should work out fine if you use them at a steady pace. Once the batteries are dead, check out RecycleNation for a location near you to dispose of them. Shipping at Best Buy is free for purchases over $35, or you can arrange to pick-up your batteries in store.